Words cannot describe the whole range of human experiences. To understand this limitation, think of a time in your life when you were upset. Take the experience and rate it from 1-10, 1 being the lowest (not very upset) and 10 being the highest (ready to blow up). Now take another experience when you were upset and try to rate it. Do this with 5-6 situations. If you did not rate all of them exactly the same (which is really rare), you have proven that when you say to yourself, “I am upset”, you are not having exactly the same feeling. One is “Not very upset. I’ll live”, another one is “I was so upset I cried the whole day” and another one can be “It was devastating” – not the same feeling. The second reason is that giving all the shades of a feeling the same name makes it harder to notice change. So if happy and upset are on a scale, when I feel upset 8 and then change to upset 6, although that is better and closer to being happy, I still talk about how upset I am. One of the ways in which words can limit us is negative self-talk. Most people talk to themselves – some do it out loud (which does not mean they are hallucinating or sick in any way, but being very normal and in fact, manage their feelings better) and others do it quietly in their mind. Self-talk is a very healthy way to bring order to a large volume of thoughts, ideas and feelings and to organize our inner world. How many times has it happened to you that explaining something to someone else has helped you understand it better yourself? This is why they say that teaching is the best way to learn. Every person has a virtual parrot sitting on their shoulder. This parrot is there from Day 1 and keeps telling us what to do and commenting about everything we experience. Although its intentions are good, this parrot can get us into trouble when we stop paying attention to what happens around us while the parrot talks straight into our ear. Do you blindly trust the person sitting next to you and cross or do you make sure you can do it by using your own estimates of your vehicle’s ability to accelerate, the size of your vehicle, the weight of your vehicle, how much you value your life and how willing you are to take a risk? My two older kids drove with me for a whole year before getting their license and I told them, “Always, always follow your own judgment, because the people sitting next to the driver do not see things from the same position as the driver”. Our mind has invented the parrot at a very early stage of our life. This parrot was supposed to be a companion and protector and repeat to us the things our main identity agents have told us over the years when they are not present. So when Mom was around, we listened to her, and when Mom is not around, the parrot acts in her place. 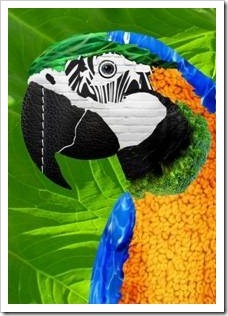 If we play with fire, the parrot says, “Aaahh … don’t play with fire”. Parrots do not get old. They only get better at “parroting” and do it faster and with more confidence. Parrots will scream, “Aaahh … don’t play with fire”, even when you are 40 years old, have your own kids and you are lighting a fire in the backyard for a BBQ with friends. The problem with parrots is that they do not think for themselves, only repeat what others have told us or we have told ourselves repeatedly. 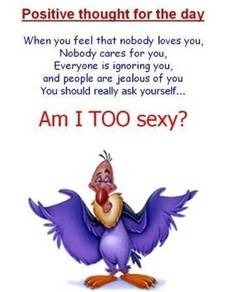 If someone important has said to us many times, “You are gorgeous”, the parrot will repeat, “Aaahh … you are gorgeous”. 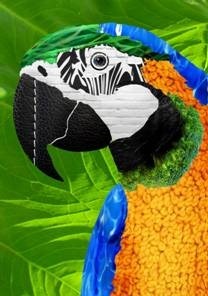 If someone important to us has said many times, “You’re lazy”, the parrot will repeat, “Aaahh … you’re lazy”. Most parents are not aware of the existence of the parrot and they are not careful when they speak to their kids. In coaching, when we examine people’s self-talk, the messages recorded there are mostly negative. Even 20, 30, or 50 years later, the parrot keeps repeating those negative things over and over again straight into their ear. Some people are so used to their negative self-talk that they try to convince you it is their protector. They use the parrot to prevent themselves from experiencing pain, but by trying to block out pain, they also block a lot of joy from coming into their life. So they do not try new things, they take no risks and they generally avoid life. Negative self-talk is very debilitating. In the last 4 years, I have delivered a diversity education program to over 20,000 children in grades 4 to 12. 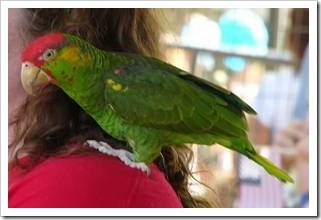 One of the main messages of the program is “Don’t believe everything the parrot tells you”. We teach the kids what to encourage the parrot to say and when it is OK, allowed and preferred to tell it to shut up! After doing this with 20,000 children, I am convinced that that if kids can do it, everyone can. The best medicine against not-so-good parrots is confidence. There is a small paradox here, I agree. If you are confident in the first place, your parrot is likely saying great things, and if you have little confidence, your parrot will make you feel helpless and unable. Keep a journal of your self-talk for a week. 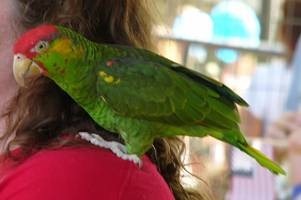 Every time you hear your “parrot” speaking, write down what it says. It will help you evaluate whether your parrot is a good one and in what situations you need to make it shut up. Make a list of things you are good at and write them in this format: “I am confident that I …” For example, “I am confident that I make new friends quickly” or “I am confident that I can paint beautiful pictures”. Create a strategy for making decisions and sticking to them. Do not second-guess and do not doubt your choices. When you make a choice, it is the best choice you can make at the time (more about this in How to Make Happy Choices). Eliminate the words “I can’t” from your vocabulary. Use more empowering alternatives instead. For example, instead of saying, “Sorry, we can’t buy this. We don’t have money”, say, “I think it is better to use the money we have for something else”, “In order to buy this, we’ll have to give up something else. What do you think?” or “We can buy it but I choose not to buy it”. Let go of the word/idea that some things are impossible. Again, as part of the diversity program I run in schools, we give the kids a seemingly impossible task. For 10-5 minutes, they keep saying it is impossible (it seems so impossible, it almost does not make sense and I thought the same the first time I did it), but then, we lead them to think differently and they find the answer. This activity covers many topics and contains many messages that we read later on in the kids’ feedback. One of them is “Whenever we are stuck, it only means we haven’t found the solution yet“. This is a powerful mindset. The parrot sits there the first 15 minutes and said, “Aaahh … it’s impossible”, “Aahh … you can’t do that”, “Aaahh … no way”, and convinces them they cannot do it, but then, they tell it to shut up and find a way forward. Remember, whenever you are stuck, say, “It only means I haven’t found the solution yet“. Dedicate your life to growth and development and stretch yourself continually. Find things that are a bit hard for you right now and commit to doing something new, different and challenging every day. Every time you conquer a fear, your parrot will stop talking about it. Every time you finish doing something that was hard for you, even if you are not 100% successful, your parrot will shut up about not being able to do it and will say something better next time. When you let go of negative self-talk, you eliminate one of the greatest challenges of our dependency on words to navigate life. When the parrot sitting on our shoulders says only good things, instead of chopping our wings, we can become eagles, fly high above the mountains and conquer the skies. Join me in a week for the next chapter of The Art of Letting Go about resistance to change. Until then, teach your parrot how to say good things in your ear.